BALTIMORE — U.S. District Magistrate Judge Deborah A. Robinson has had a lengthy career on the federal bench in Washington, presiding over a host of big-name defendants including D.C. City Councilman Marion Barry, former vice presidential adviser I. Lewis “Scooter” Libby and NBA star Allen Iverson. In the late 1980s, she presided over 12 days of preliminary hearings for Rayful Edmond, later convicted as one of Washington, D.C.’s most infamous drug traffickers. On Friday, April 10, however, she was in federal court in Baltimore, not as a veteran judge but as the concerned mother of her 21-year-old son Philip Robinson Winkfield, who was sentenced to five years in federal prison for possession with intent to distribute heroin. She watched as her son was led off in handcuffs. Besides the fact that mother is a judge, Winkfield was not your typical defendant facing sentencing for heroin trafficking in Baltimore. A 2005 graduate of the prestigious Maret School in Northwest D.C., he was arrested last April 25 in a townhouse in Baltimore. Police seized five loaded guns, including two semiautomatic pistols, two shotguns and a semiautomatic assault rifle; a bullet resistant vest; 157 grams of heroin; 180 grams of crack; more than six pounds of marijuana and $8,000 cash. The Morgan State University student was indicted in Baltimore City Circuit Court last May 23 before the U.S. Attorney’s Office in Maryland took over the case in November. Winkfield waived indictment and pleaded guilty to the heroin charge in December. He has been detained since his April 2008 arrest on grounds that he posed a risk to the safety of others. What began as a routine pot bust escalated after Drug Enforcement Administration agents, acting on a tip from the DEA office in Providence, R.I., sought to intercept a FedEx package from Eureka, Calif., destined for Winkfield’s apartment but addressed to someone else. After a forced entry, inside the Baltimore townhouse agents found Winkfield and a cache of weapons with large quantities of hard drugs and cash. Prosecutors have declined to say whether others were involved. 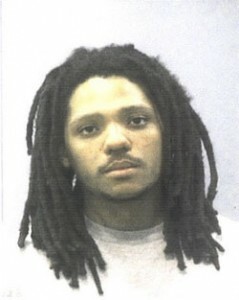 Since his arrest, the case has yielded few clues about Winkfield, who, before moving to Baltimore in 2006 to attend Morgan State, lived for 18 years with his mother, Judge Robinson, in Northwest D.C. Before coming to Morgan as a legacy student – his mother graduated from there in 1975 – he attended University of Delaware in 2005 and 2006. Winkfield has two prior misdemeanor convictions from 2007 in Virginia, for gun possession and drug paraphernalia. On Friday, Robinson and her ex-husband, John C. Winkfield, a lawyer for the U.S. Department of Veteran’s Affairs, sat silently waiting for their son’s sentencing hearing to begin. Philip Winkfield entered the courtroom dressed in a t-shirt and jeans with his dread locks pulled back. Incarcerated for a year, he appeared more muscular than at his first appearance in state court last May. He nodded to his parents. Addressing the court, Assistant U.S. Attorney George Hazel said he read every letter submitted on Winkfield’s behalf by family and friends. Then Hazel recommended to U.S. District Court Chief Judge J. Fredrick Motz that Winkfield, a first time federal offender, receive the mandatory minimum of 60 months in prison. Winkfield then rose and spoke to the judge. He apologized for “my lack of judgment” to the court and his family and “all of those who I’ve hurt.” In a steady, clear voice he continued, “This has been an eye-opening experience. Motz sentenced Winkfield to five years in prison with credit for time served; four years supervised release, with drug and alcohol and mental health counseling; and 200 hours of community service to be waived if he finds a job. After seeing her son led off in handcuffs, Judge Robinson declined to talk to a reporter, as she struggled to hold back her emotions. John Winkfield, who is a former D.C. prosecutor and former appellate lawyer in the criminal division of the U.S. Justice Department, declined to comment as well. Posted: 4/10/09 at 4:59 PM under Special Report.